Corporate and elitist power is in control of America based on various US Supreme Court decisions like Citizens United. We need to overrule the court! ﻿The world's largest corporate trade agreement that most Americans have never heard of is close to be signed by President Obama. But we can stop its enactment. 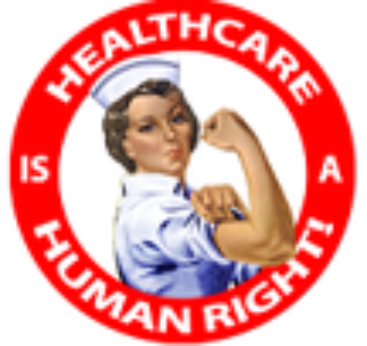 Health Care is a Human Right, not just a privilege for some. How do we move from health care based on insurance to one based on fulfilling need. One which is affordable, cost effective and universal? America's banking system is build around private for-profit banks. They are sucking us dry and causing recessions. They are too-big-to-fail. There is another way - a system of public banks - state and/or municipal. 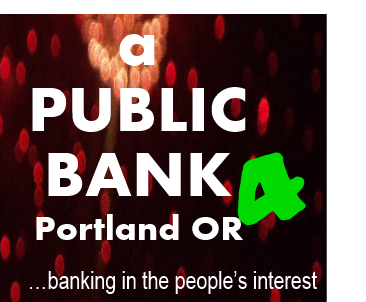 Owned by the public - you and I - public banks means not supporting the too-big-to-fail banks and paying less for our financial services.